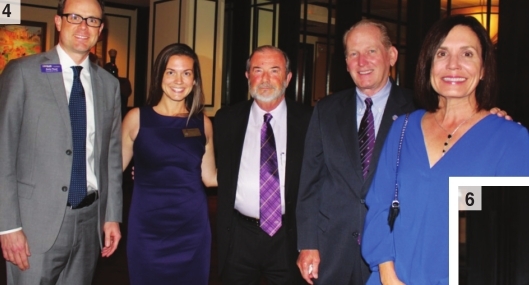 A cocktail reception celebrating the establishment of the Ochsner LSU Health System of North Louisiana was held Sept. 24 at Superior’s Steakhouse. 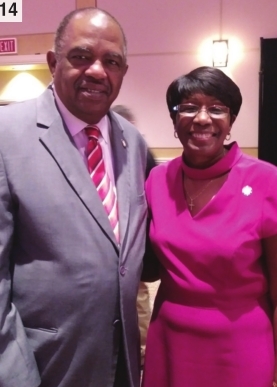 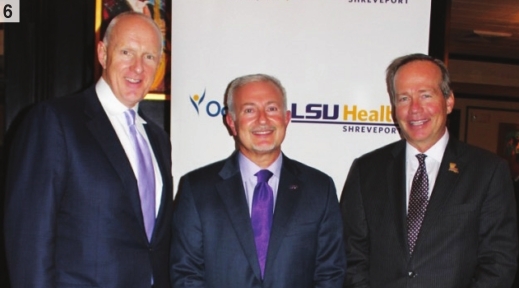 LSU President F. King Alexander, LSU Health Shreveport Chancellor G.E. 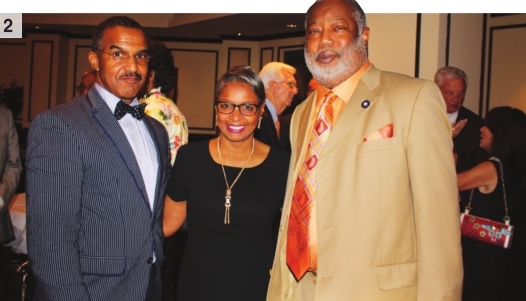 Ghali and Ochsner Health System CEO Warner Thomas played host to dignitaries and supporters of the new entity. 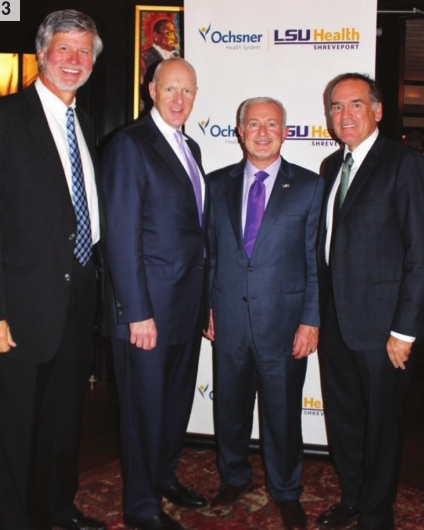 3) Dr. David Lewis, Ochsner CEO Warner Thomas, LSUH-S Chancellor Dr. G.E. 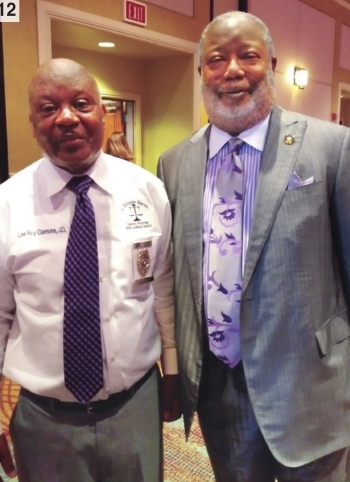 Ghali, Dr. Chuck Fox. 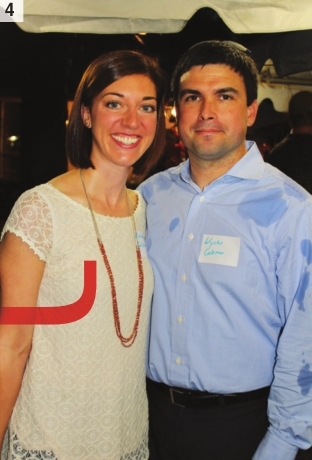 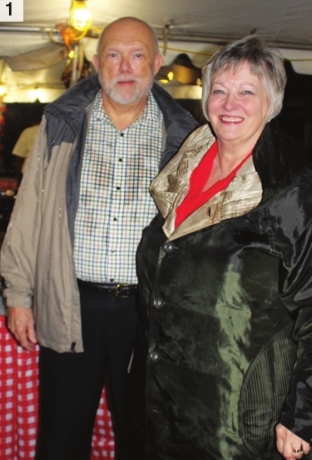 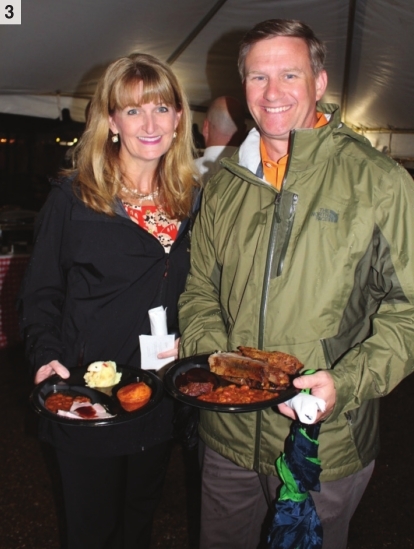 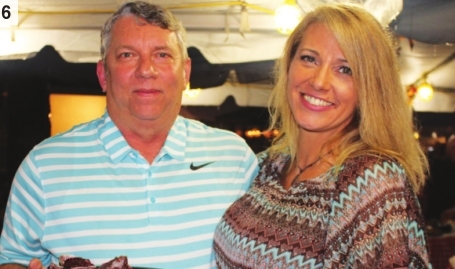 A torrential downpour did not drench the spirits of the many guests in attendance at the Oct. 9 Fall Barbecue at Elrod Cedar Lodge on the shores of Cross Lake. 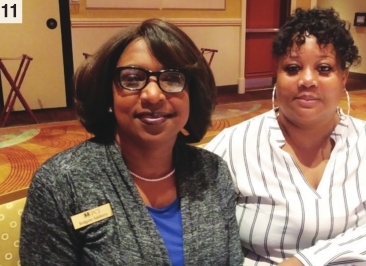 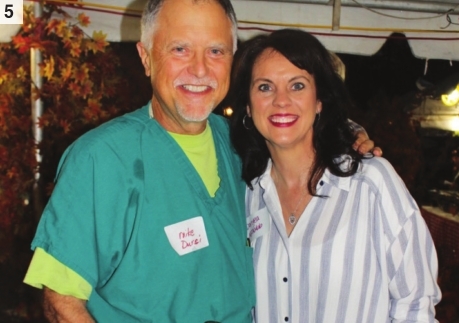 The annual event honors Willis-Knighton medical staff and community friends with an abundance of food and libation, served under tents on the expansive grounds. 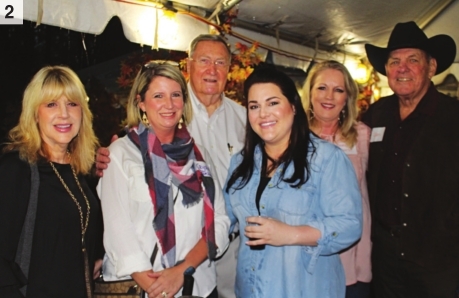 The rain only seemed to lighten the mood, and fun was had by all as chargrilled oysters and other delicacies were served along with BBQ, smoked meats and all the fixings. 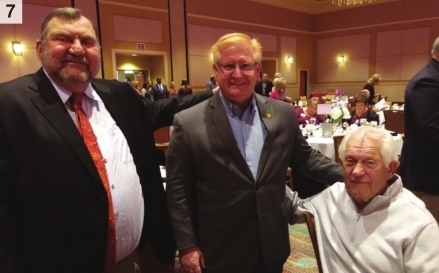 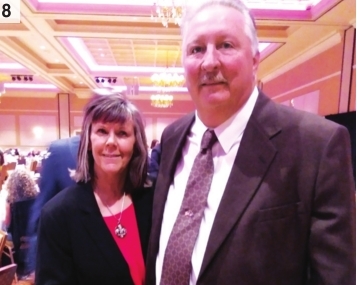 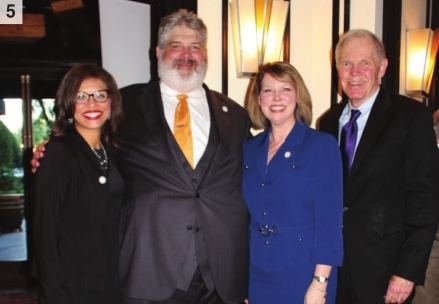 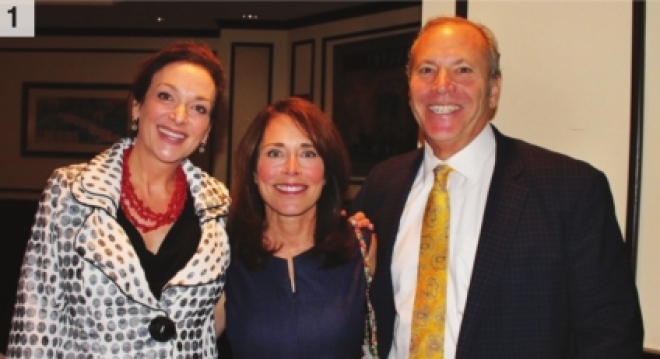 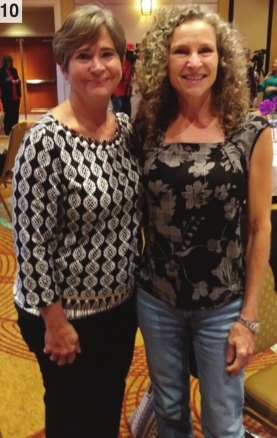 The second annual People of Courage benefit luncheon was held Oct. 11 at Sam’s Town Hotel & Casino. 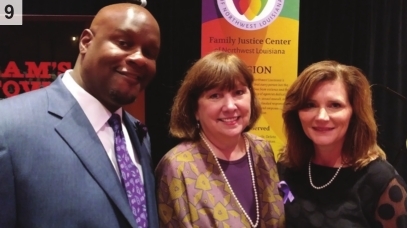 Presented by the Northwest Louisiana Family Justice Center (NWLA FJC) in cooperation with the District Attorneys of Northwest Louisiana, the funds raised will enable the NWLA FJC to continue providing services to survivors of domestic violence in nine northwest Louisiana parishes. 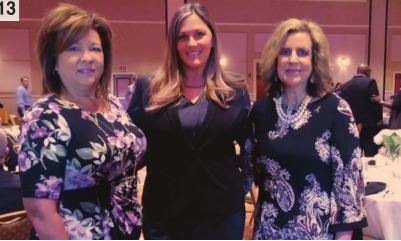 The keynote speaker was Darlene Hutchinson-Biehl, director of the Office for Victims of Crimes with the U.S. Justice Department in Washington, D.C.